We never think twice about it. People use credit cards, debit cards, paypal and even their iphones and galaxy phones to carry out credit transactions. That is all they are….economic transactions. Suppose they became something more than that? Suppose all facets of your life were rated by credit score transactions? If, for example, you buy your kids video games to play around with, your credit score could go down. If, for example, you buy certain foods that are considered “healthy,” your credit score could go up. While this does not seem possible in the United States, we have to keep in mind that sometimes the U.S. government, like so many governments, can use this kind of technology for its own ends and not always in favor of its citizens. One example of a nation that wants to judge all its people on the credit score they make is China. By the year 2020, the Chinese government will put into place a “credit score system” that will be part of everyone’s identity card. Under this credit score system, people can be rewarded or punished on what they do politically, in their personal lifestyles, and even the food they eat. Under the future Chinese credit score system, if someone engages in political activities not sanctioned by the Communist Party of China, they lose credit points. If they eat the “right foods” and engage in “politically correct” activities, then they can be awarded with bonuses at work or even paid vacations to places like Singapore. With any luck we will never have anything like this in place in the United States. 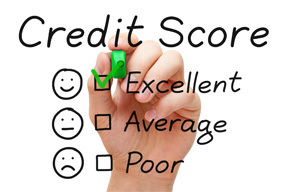 However, this does not mean that parts of such a credit score system could not be put into the United States. One example of this may be if you are considered a “good employee” you are rewarded. If you are a not so good employee, you may not earn anything or worse have your credit score lowered. The big question is who decides what is acceptable and what is not acceptable? Couldn’t this be abused by those with the power of life and death over those in business, security and banking policies? It most certainly can happen even in the United States. This is where such a credit score system could come into play in America, and it could have a dramatic impact on what we do, what we say and what we even buy. The only way to prevent such a thing is to fight for the political freedom, social freedom, and even economic freedom to choose. In a system where our choices are limited, we all lose.